That’s what a so called “ABA” team leader told me when I was working as an early intervention developmental therapist with Connor, an adorable three year boy with ASD. “You’re not following the plan I put in place. You’re taking the child to the park and putting him on the swing.” Barbaric. “You’re putting him on the teeter totter.” Cruel. “You’re playing with him in the sandbox.” Heartless. After hearing statements like these (and many more), I knew something wasn’t right. I knew what I was doing wasn’t real ABA. It was too cold. Too rigid. Too textbook. It just didn’t feel right. No competent teacher would force a small child to sit at a table one-on-one for hours. No caring parent would force their child to do that which they clearly hate for hours at a time, day after day. It starts with a program created and supervised by a Board-Certified Behavior Analyst (BCBA). A BCBA has the education, training and expertise in behavior and development. A BCBA understands the science behind behavior. She works on socially significant behaviors using a developmental approach, including verbal behavior and the Early Start Denver Model (ESDM). I’ve believe in doing ABA therapy in a natural way. I love seeing a child’s face light up when they point to a dog as we play in the sandbox. I love hearing them say “water” for the first time after being completely non-verbal for years. Putting a toddler in a crib and playing peek-a-boo to get that awesome reaction and giggles. ABA is not sitting at a desk performing a task 10, 20, 30 times. And being rewarded with a Skittle for each correct action. Unfortunately, many so-called ABA therapists are trained in this type of repetitive behavioral therapy, often referred to as discrete trial training or DTT. DTT is great to teach a new skill, difficult skill or a skill to a child who is not cognitively ready to learn from his natural environment or a child that will get distracted from natural environment. DTT can be an important part of an ABA plan. However, it should never be the only part of an ABA plan. Connor was three years old. When I was assigned to work with him, he was totally non-verbal. Only small babbling sounds. He also had “stimming behaviors,” including hand flapping, running around in circles and making loud noises. I was told to improve his language and reduce his stimming behaviors. How? By following what it says in his ABA binder. His evil ABA binder. It said I needed to sit at his tiny table and complete task after task for two hours with small breaks. To do lots of puzzles and receptive I.D. programs until he gets it. I had my doubts. I had my questions. But I was told not to question. If he began “stimming” I was told to do a STOP program where I would reward him every few seconds with candy for him stopping to stim on his iPad while watching his favorite show. This child has autism! He loves watching his favorite show as a reward for a few minutes. He’s stimming and flapping his hands because he’s excited! You want me to stop him from doing that?! Back to being forced to sit at the table for hours doing DTT trials over and over again. Back to doing puzzle after puzzle. Ring stacker, shape sorter, lots of pictures to identify and don’t forget the candy. The boatload of candy. One day I had a forbidden thought. I got to Connor’s front door with my overloaded four bags of goodies. Toys, games, bubbles, a ball and some water toys. Also his favorite reinforcers, Thomas the train books, bubbles, puzzles and a fluffy Thomas pillow. Pictures of items from his natural environment. His mom, dad, sister, brother, cat, dog, favorite pillow and favorite toys. You name it. Everything Connor loved was in the bag. We began our session by going to the park across the street, unloaded our bags and began to play! We started playing ball. I held the ball back until he would sign ball and say “buh.” And boy he would get that ball right in his belly! I ran up and down the slide with him, holding him at the top and not letting him go down until he said “go” and then he would fly down the slide! We would play in the sandbox, hide treasures and pictures –working on receptive skills. I recorded all the data. All the imitations. Touching body parts. Putting hands up in the air. I recorded it all on index cards and continued for the entire two hours. We took a walk around the block working on “stop” and “go” and “come here.” And instead of “show me dog” with a picture of a dog we passed a few dogs and each time I said “show me dog,” Connor would take his cute little finger out and point to the dog. And when the dog came by, he got to pet the dog as a reinforcer! Wow! Amazing! This went on for the next few weeks. It was remarkable to see Connor’s progress. He didn’t stop saying new words and signs. He was playing more appropriately. He was working on natural skills in a natural way. The screaming and hitting was almost gone. His language was exploding. His play was getting better. He initiated a wave and hi to a neighbor in the park. I enjoyed going to Connor four times a week. I loved every minute I was there. I loved him. He was fun, engaging, cute, sweet. 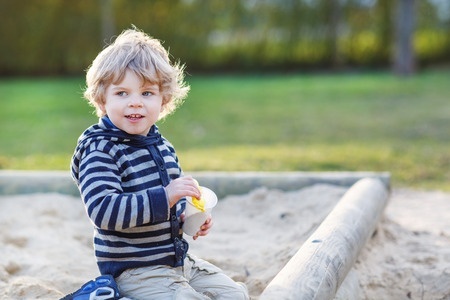 He was an adorable three year-old boy…who happened to have autism. We were making tremendous progress. I ran back in after our outdoor sessions to transfer the data into the big fat ABA binder in his tiny hot room. I did that daily. Religiously. So I tried “modifying” my sessions. I would do half outside and half in his room. I tried the ABA leader’s plans but I was so sad doing it. I knew Connor could make more progress in a very different way. I tried my hardest to please everyone. Then the team leader told me I was still not doing things “right” and that if I can’t change my sessions and do them all in his room for two hours and follow her protocols…I may as well leave. I packed my bags, kissed Connor goodbye and left him some Thomas toys. I quietly hoped and prayed that one day mom will realize the truth. Get real ABA. Your child deserves it. Unfortunately, stories like Connor’s are common. Too common. And no one is to blame. The ABA therapists are doing what they think is ABA. And the parents trust what the ABA therapist tells them. Throwing the child up in the air. Engaging the child in his favorite interests and actually enjoying it with them. Understanding what the child is truly capable of. Celebrating each and every accomplishment with fan-fare galore! Showing the child you care about them. Loving them for who they are. That’s how I believe ABA should be done. That’s what our kids and therapists say after a session. Why? Because they’re receiving real ABA. From real, board-certified ABA therapists (BCBAs). If your child is receiving ABA therapy only at a desk for hours on end, you could be doing more damage than good. If ytou feel something’s not right, ask questions. Collect information. It’s critical you know what you’re getting. Give us a call. We can help you. We can help your child. Demand real ABA. Your child deserves it.